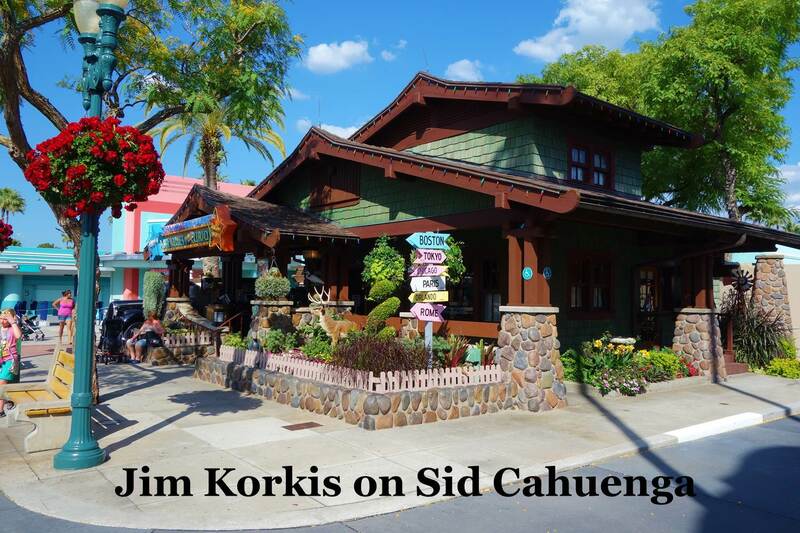 Welcome back to Fridays with Jim Korkis! Jim, the dean of Disney historians and author of Jim’s Gems in The easy Guide, writes about Walt Disney World history every Friday on yourfirstvisit.net. 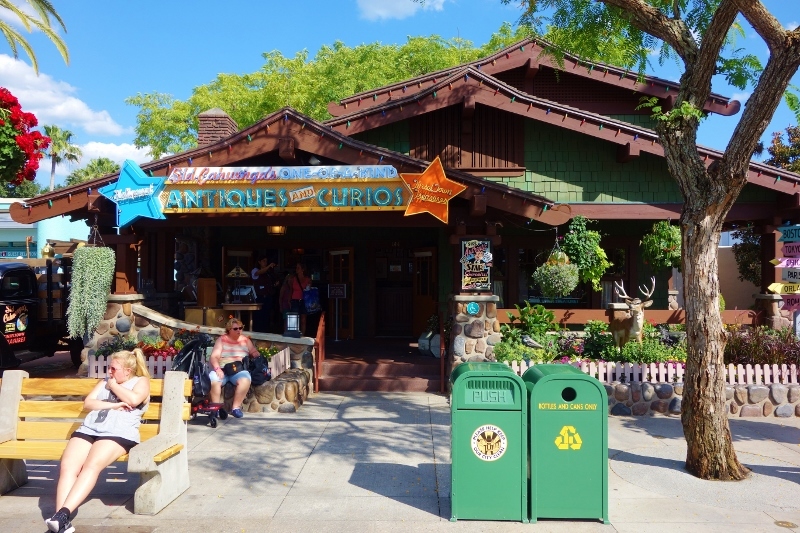 Sid Cahuenga’s One-of-a-Kind Antiques and Curios shop, the home of Tinseltown Treasures at the front of Disney’s Hollywood Studios theme park, has been a familiar site to guests in that park since its opening day (as Disney’s MGM Studios) in May 1989. While today the location is a MyMagic+ Service Center, it originally sold items that included posters of Disney movies, black and white portrait photos of Walt Disney, pressbooks from Disney films, celebrity autographed photos, books, costuming and more. In fact, for sixteen years up to 2005, guests had the opportunity to meet and have their pictures taken with the friendly Sid Cahuenga himself. Actually, Sid was talented performer Danny Dillon, whose signed and framed photo once hung prominently just inside the establishment’s front door. Dillon, who passed away at the age of eighty-two, was so iconic as Sid that the role was never replaced after his passing. The name “Sid” was inspired by iconic showman Sid Grauman who owned and operated Grauman’s Chinese Theater on Hollywood Boulevard as well as other popular movie theaters. The name “Cahuenga” came from Cahuenga Boulevard, a major cross street that leads directly into the heart of Hollywood. According to the Disney Imagineering created back story, Sid Cahuenga was a big movie fan. With his wife, they relocated from the Midwest to the Hollywood of the 1920s where they bought some land and built their small home. Unlike other buildings at Disney Hollywood Studios, it is not based on any particular building but rather is faithful to a style associated with that time period, and also mimics the story of the Janes House. The real Janes House was built in 1903 on Hollywood Boulevard, and rather than ebbing razed and a new building built on its lot, it was turned into a business and other commercial structures were built around it. The Cahuenga house is themed to a similar story. Once Hollywood grew in the area where the house was built, real estate developers tried desperately to buy the now valuable property from Sid, but he continually refused. He and his wife did not want to move and they liked their new situation in the heart of all the expanded activity. With a steady stream of tourists and shoppers now filling the street, Sid decided to make some extra money by displaying his collection of movie memorabilia he had accumulated over the years. He placed the movie collectible items for sale on his front porch and front yard just like an expensive garage sale. He was so successful that he expanded his business by transforming a few rooms in the front of his house into a store. He propped up items on bureaus, tables and even the fireplace. He realized he needed to replenish the one-of-a-kind items he was selling so he got a large black flatbed truck, often parked next to his home. 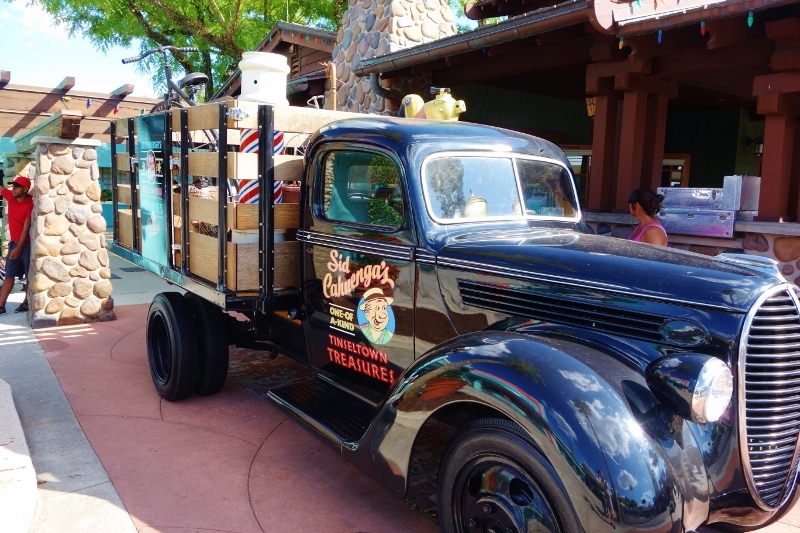 He would use the vehicle to buy surplus items from the studios or rummage through dumpsters behind the studios to recover items that had been thrown away. Look in the back of the truck and see some interesting items including a figure from the Magic Kingdom’s defunct 20,000 Leagues Under the Sea attraction. He had made many friends in the twenty years he had lived in Hollywood and some of those stars were only to happy to sign photos or give things to Sid which he promptly put up for sale. Sid and his wife made a good living for decades until their passing. 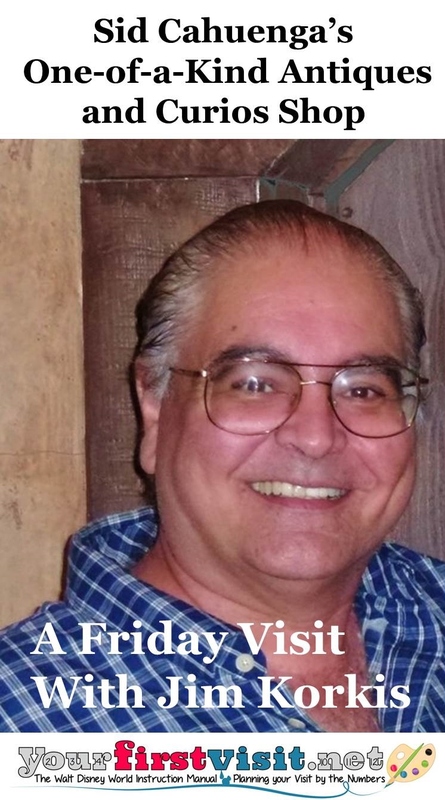 Come back next Friday for more from Jim Korkis. 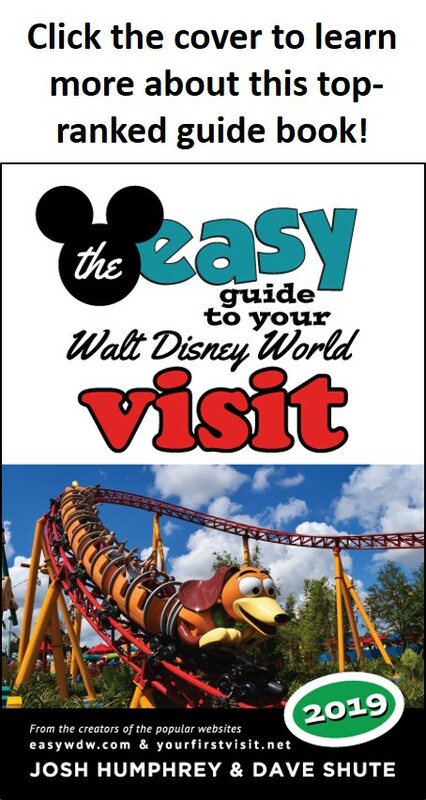 , and his contributions to The easy Guide to Your First Walt Disney World Visit, all published by Theme Park Press. Hi it’s Dave–very cool, and I will email a link to your comment to Jim! Hope you can help ?we purchased a Sid Cahuenga’s 1956 movie poster the Ten Commandments ! We got it at Disney . It was also signed by Charlton Heston ! My question is if Sid only dealt with “original” posters ? Sorry, Tony, I don’t know.